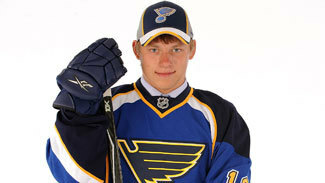 This 20-year-old Russian phenom was drafted in the first round of the 2010 Entry Draft but the 2012-13 season will be his first in North America after playing the last four seasons in the Kontinental Hockey League. He has point-production savvy beyond his years (47 points in 54 KHL games last season), making him an immediate threat to score 20-plus goals as a rookie. What's more, the opportunity to develop in coach Ken Hitchcock's system makes his situation even more promising. He's a projected third-liner heading into his first NHL season, but will be further utilized if injuries affect the Blues' talented group of forwards again. The vast majority of O'Reilly's ice time last season came alongside Calder Trophy winner Gabriel Landeskog, and don't expect that to change this season. If Landeskog builds off his rookie season and Steve Downie contributes at the rate he did on that line after being acquired by Colorado, O'Reilly could be in for another career year. The 21-year-old proved to be a distributor who also compiles shots on goal last season, a strong combination that suggests he could emerge as a top-100 fantasy player as soon as this season. Operating on one of the most productive yet underrated lines in the NHL last season, Desharnais should develop more continuity working again with 60-point scorers Max Pacioretty and Erik Cole. The 25-year-old put up just 98 shots on goal last season but had a plus-10 rating, 44 assists and 20 power-play points despite Montreal finishing 15th in the Eastern Conference. If the team's fortunes take a turn for the better, Desharnais could be even more of a focal point for the Habs' offense. Also, like O'Reilly, Desharnais did not qualify for NHL.com's consensus top-175 rankings but deserves to be recognized as a player on the rise. 2011-12 STATS: UNIV. OF WISC. The Oilers' youth movement took on a new dimension this summer as the team signed Schultz, who had posted consecutive 40-plus point seasons at the University of Wisconsin. Schultz has polished offensive skills that could translate well to the NHL, and he'll likely fit in perfectly as Edmonton lacks a difference-maker on the blue line. At 22, he has a chance to shine on the Oilers' top defensive pairing in his first NHL season and potentially even quarterback the team's top power-play unit with its touted arsenal of young forwards. LaRose, eligible at two positions, missed a chunk of February last season due to injury, but will have a surplus of talent around him for the Hurricanes -- one of the League's most improved teams after offseason additions of Jordan Staal and Alexander Semin. He'll likely flank Eric Staal, with whom he has shown strong chemistry in the past. The 30-year-old set a career high in points last season (32) and tied his personal best in goals (19), but never fully hit his stride. LaRose put up solid numbers in shots on goal, PIM and power-play point categories, and if he stays healthy could be destined for a breakout year. Kulikov (currently a Group 2 Free Agent) has missed 10-plus games in each of his first three seasons with the Panthers, yet has been on the cusp of 30 points in each of the last two seasons. His ability to produce 10 power-play points in only 58 games last season as a 21-year-old defenseman is promising, and the news that Erik Gudbranson could miss four months due to a shoulder injury only helps Kulikov's stock. With one of the League's most prolific point-producing defensemen, Brian Campbell, potentially on his unit, fantasy owners can expect big things if Kulikov avoids the injury bug. The Flames have the playoffs on their mind, and they expect the 19-year-old Baertschi to be a key piece to the puzzle. He scored three goals in five games last season during his call-up in March and likely will be used more extensively moving forward, potentially alongside KHL product Roman Cervenka and free-agent signee Jiri Hudler. This potent scorer -- like Tarasenko -- could feed off the options around him and break out as a dark-horse Calder candidate. Smith-Pelly likely will fill the Ducks' second-line left wing slot, where he would play with a pair of wily veterans in Teemu Selanne and Saku Koivu. Skating with those two could be most beneficial to his game in both the short- and long-term. The 20-year-old was a dynamic goal-scorer during his time in the Ontario Hockey League, and could establish himself as a well-rounded fantasy asset that becomes a mainstay on any fantasy roster. Bernier still finds himself in the shadow of Jonathan Quick -- who posted a historically elite season in 2011-12 -- but could be a top-20 fantasy goalie if he's traded to a team where he can start. Even if he stays in L.A., the defending champs are confident and expected to be a deeper goal-scoring team, if healthy. How could that impact Bernier? Less pressure and injuries for the Kings could make it more likely for them to give Quick a bit more rest than last season, opening up a few more starts for Bernier. Either way, it's worth selecting the 24-year-old with a late pick in your draft and monitoring his situation. With Ryan Suter out in Nashville, Josi has sizable shoes to fill as a projected top-pairing defenseman. Suter had 39 assists (tied for sixth among defensemen) and 25 power-play points (third among defensemen) last season in 26:30 of ice time per game (third in NHL), but his departure is an opportunity for the Predators to insert the 22-year-old Josi as Shea Weber's potential sidekick in Nashville. Josi showed some goal-scoring flair despite missing time early last season due to injury, and will see notable power-play time if he's up for the task.